Take Ocelot on FOB Missions while the rest of Diamond Dogs lounges in swim-trunks and bikinis in this week’s MGSV content update. Hideo Kojima and the rest of Kojima Productions may be off working on the enigmatic Death Stranding, but Konami hasn’t finished supporting the Metal Gear franchise just yet. Despite their fan-lambasted use of the Fox Engine for a Metal Gear Solid 3: Snake Eater “pachislot” pachino/slot hybrid machine, Konami is continuing to issue updates for Metal Gear Solid V: The Phantom Pain, its competitive online component Metal Gear Online, and develop the future co-op zombie spin-off Metal Gear Survive. Yesterday morning, a new content update went live for Metal Gear Solid V: The Phantom Pain, complete with a handful of new gameplay features, patches and active bug-fixes. 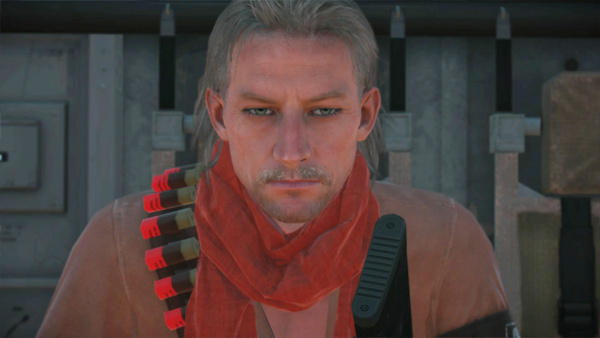 Though PC modders may have beaten Konami to the punch, Mother Base tactician and future series antagonist [Revolver] Ocelot is now available for use during FOB Missions; his default outfit cannot be changed, however Ocelot rightfully has the fastest draw and reload speed, a moderately increased camouflage rating, and the abilities to dual-wield pistols and ricochet bullets off market enemies. 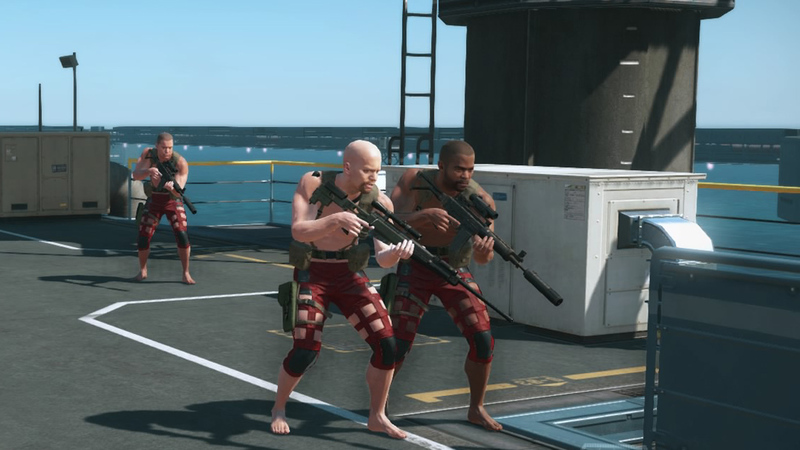 Two new swimsuits can be developed for FOB soldiers, but only after receiving Event Point Rewards for the current online event window. Sadly, none of the primary cast members can don these suits, but stationed Diamond Dogs members- male or female- will receive bonuses from sporting the new “Goblin Suit” and “Megalodon Suit”; neither of the swimsuits offer camouflage bonuses, but soldiers wearing either the trunks/bikini or the wetsuit will receive a moderate speed increase. Metal Gear Solid V: The Phantom Pain is available for PC, PS4, Xbox One, 360 and PS3; anyone who missed out on the prequel Metal Gear Solid V: Ground Zeroes may purchase the “Definitive Experience”, containing both titles and all DLC prior to release for the Xbox One and PS4.